Align your living space with versatility and class with a multi-unit sofa sectional that lets you create the living room you and your family's lifestyle. The collection of contemporary plush units feature accent tufting and pillows. 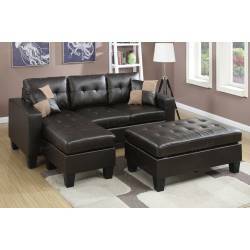 Available in espresso (bonded leather), chocolate (microfiber and faux leather trim), and saddle (microfiber and faux leather trim). 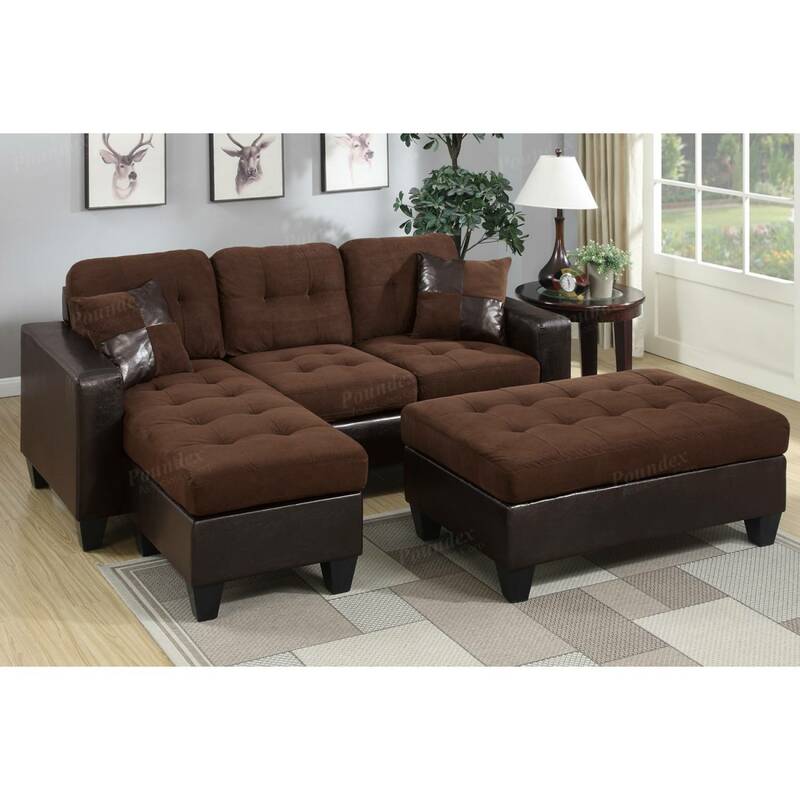 F6927 Sectional SetAlign your living space with versatility and class with a multi-unit sofa section..